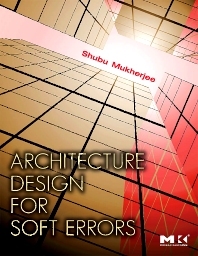 Architecture Design for Soft Errors provides a comprehensive description of the architectural techniques to tackle the soft error problem. It covers the new methodologies for quantitative analysis of soft errors as well as novel, cost-effective architectural techniques to mitigate them. To provide readers with a better grasp of the broader problem definition and solution space, this book also delves into the physics of soft errors and reviews current circuit and software mitigation techniques. There are a number of different ways this book can be read or used in a course: as a complete course on architecture design for soft errors covering the entire book; a short course on architecture design for soft errors; and as a reference book on classical fault-tolerant machines. This book is recommended for practitioners in semi-conductor industry, researchers and developers in computer architecture, advanced graduate seminar courses on soft errors, and (iv) as a reference book for undergraduate courses in computer architecture. Practitioners in semi-conductor industry, researchers & developers in computer architecture, advanced graduate seminar courses on soft errors, and (iv) as a reference book for undergraduate courses in computer architecture. I will describe many basic and advanced techniques to make this book of interest to this broad audience.